Thanks to University of Nevada, Reno, Geography for introducing me to these works. The photos are from my cell phone as usual. 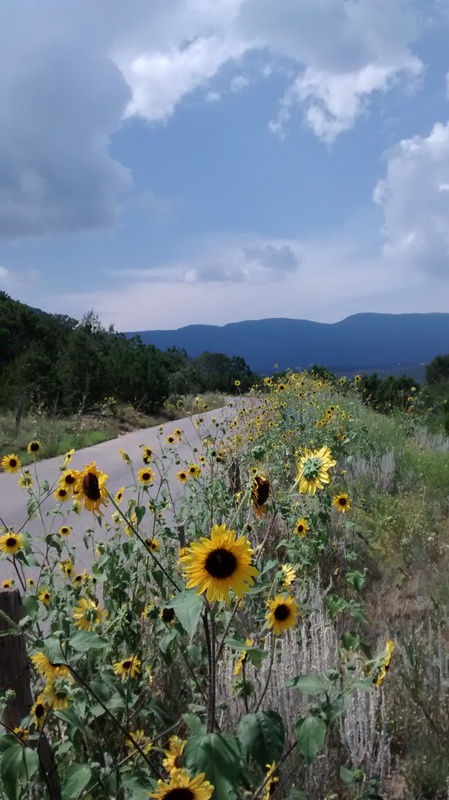 First photo is from a ride around the Sandia mountains, and the second from a walk through the ABQ Biopark. Arigato. 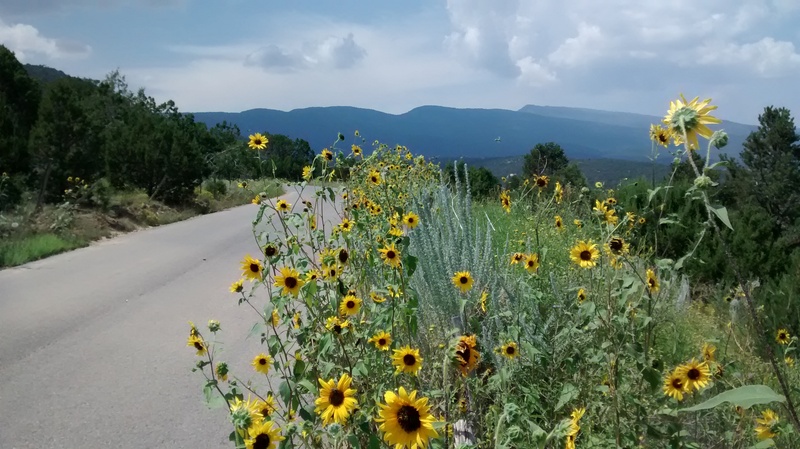 This entry was posted in healthy roads, literature, New Mexico, planning, Public Participation, sustainable development, traffic safety, Uncategorized on October 21, 2016 by bikeyogiblog. 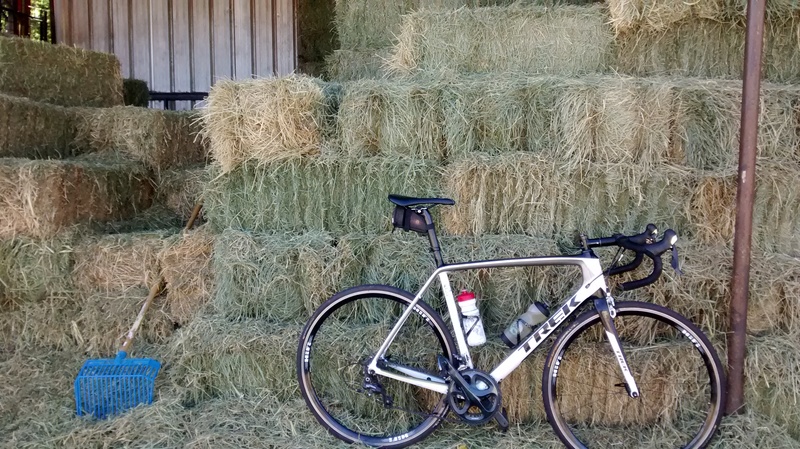 This is the time of year to relax and enjoy time on the bike and the gifts of the Fall season. It’s been a year since we moved here so I’ve been trying to explore more and go deeper into usual places, and take new roads that I’ve never been on before. Just as my love and respect for my life partner grows year after year, so does my appreciation for the Southwestern U.S. I enjoy cycling east. 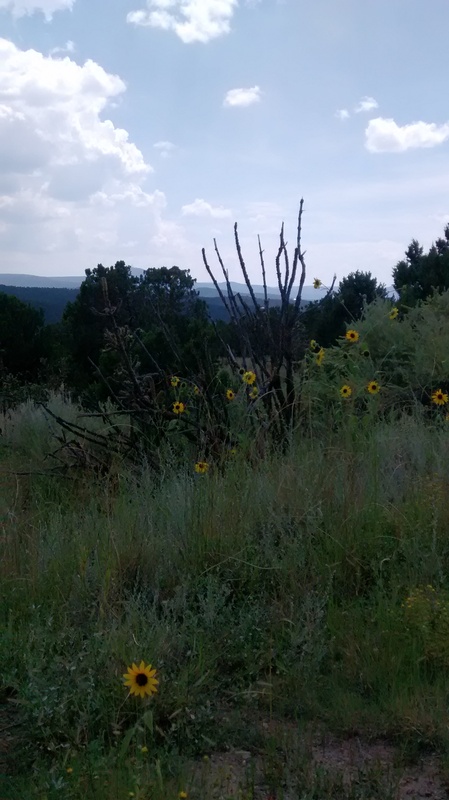 When I ride into Tijeras Canyon the city ends abruptly and the real New Mexico emerges. It feels like the wild west, although one that is becoming friendlier and safer to travel through, with classic landscapes intact. We can keep it this way if we continue evolving our knowledge and practice of the conservation ethic. 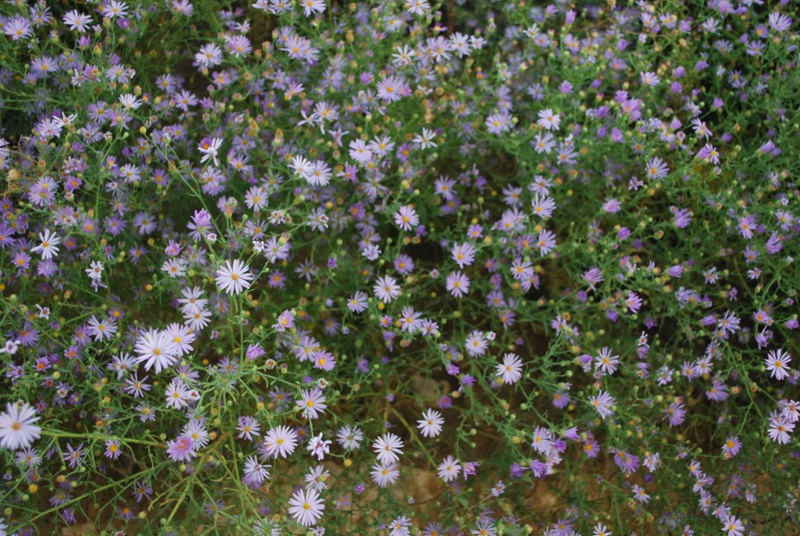 “When we see land as a community we belong to, we begin to use it with love and respect” (Aldo Leopold). 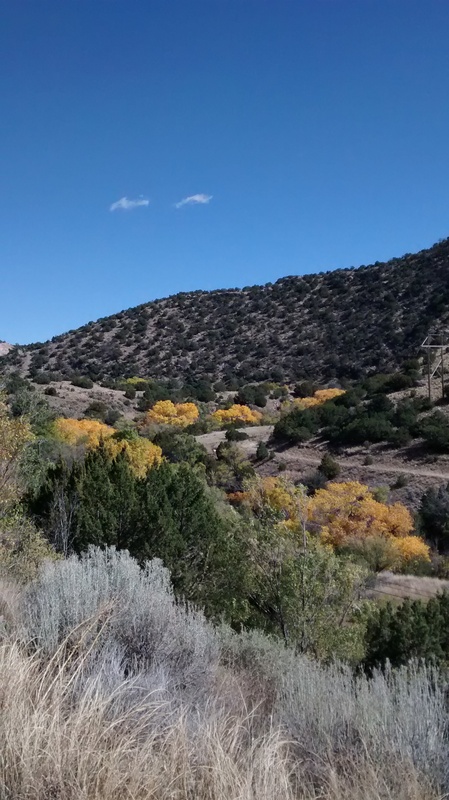 Tijeras Canyon opens to stunning skies and broad slopes of two immense mountain ranges that harbor bear, bighorn sheep, deer, turkey. I can see in my minds eye the creek flowing out of the canyon and cutting across the desert connecting with the Río Grande in the South Valley. Beautiful. 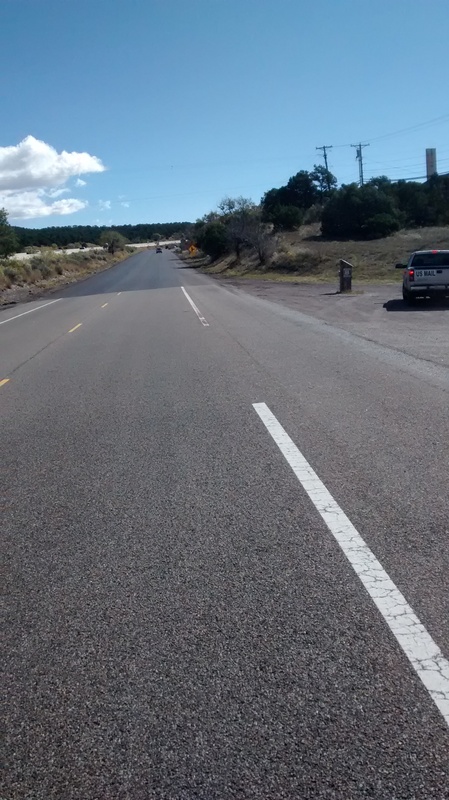 On old Route 66 toward Edgewood they are repaving the road with smooth black asphalt edge to edge. The wide continuous shoulder makes for favorable operating conditions for pedestrian and bicycle traffic, and increases safety, visibility and maneuverability for all modes. The transportation agency also has signs up reminding us to look for bicycle and pedestrian traffic. 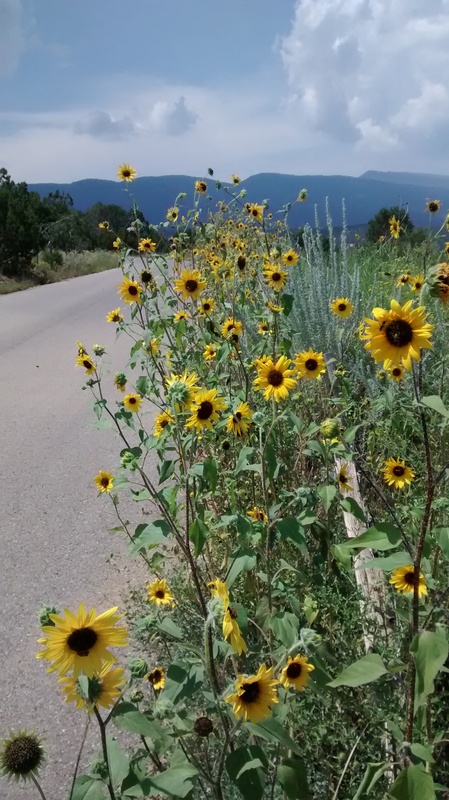 When you get out to the Village of Tijeras you have an incredible selection of roads and trails. It is higher elevation there, and windy sometimes, but that just makes you stronger. Lots of people love cycling in the East Mountain communities. Friendly waves and smiles abound. When you need an easier day of cycling, you can find great roads up and down the Río Grande Valley. 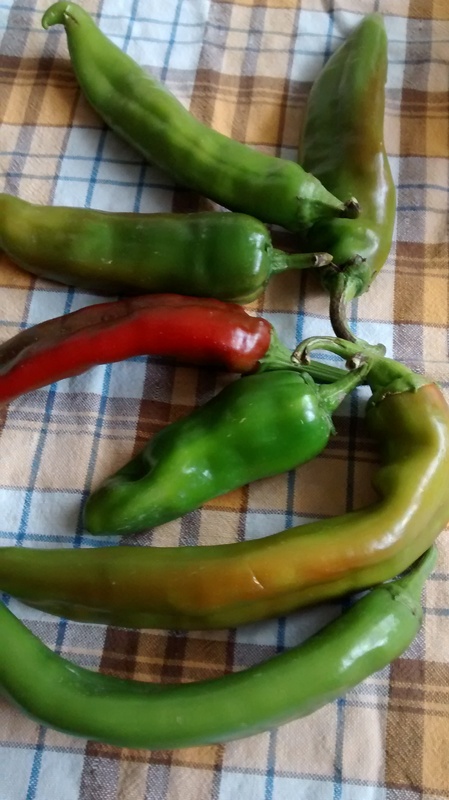 Yesterday I was cruising Los Ranchos de Albuquerque and smelled roasting Chili. I had my backpack with so I stopped in and bought some. The roasted ones I bought were still warm, so I ate them with some sweet potatoes I was carrying that were left over from dinner last night. Superb comfort food. I think as the main roads are adapted for better bicycle travel, the local character will be even better appreciated, and the peoples’ inherent vitality will be freer. 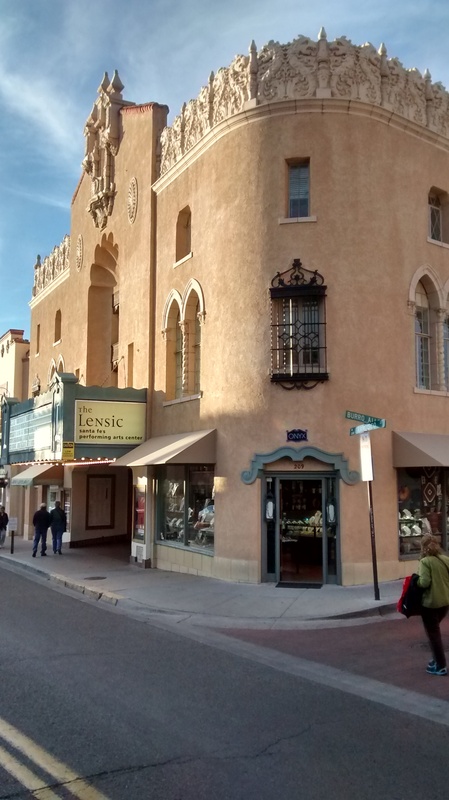 Albuquerque has unsurpassed strengths in diverse cultures, traditions and landscapes. We should keep it affordable, ensuring middle income people remain at the center of the cultural vibrancy here. 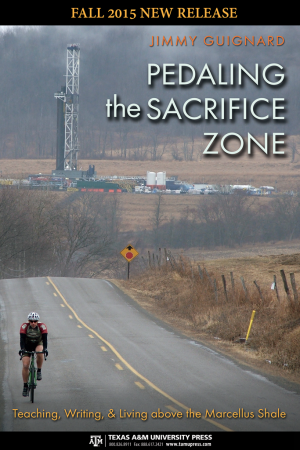 Bicycling has been an outstanding vehicle to learn about the local character. Cycling embodies the best of everything, from the conservative principles of smaller is better and maximum efficiency, to the liberal value of free learning. It’s bilateral goodness, win win win. It is a traditional way of being. This is travel like humans are meant to move. It is a well balanced mix of city and country here. 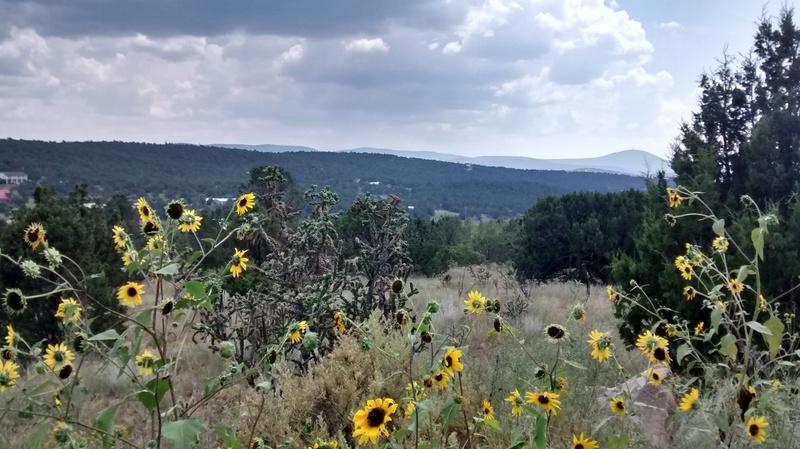 This afternoon we are going up to Santa Fe to enjoy the free admission to the New Mexico Museum of Art and to experience walking life around Santa Fe. 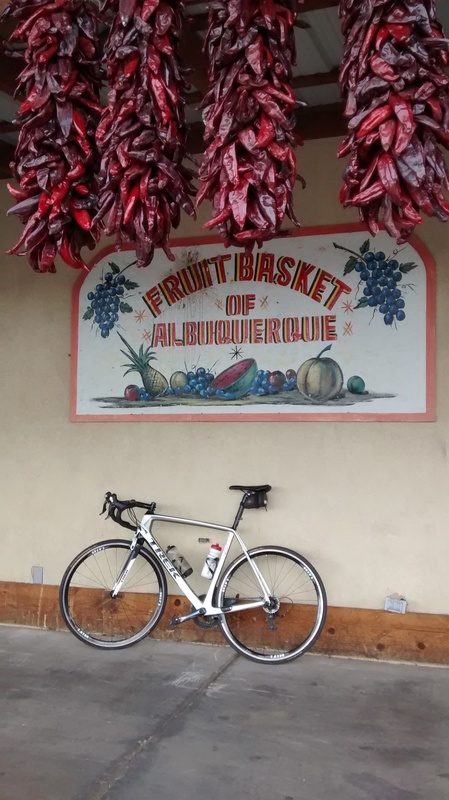 Santa Fe has a wonderful bike culture too, and together, Albuquerque and Santa Fe make for one of the most diverse destinations a person could possibly imagine. Leopold, Aldo. A Sand County Almanac and Sketches Here and There, Special Commemorative Edition . Quote from the forward, page viii. 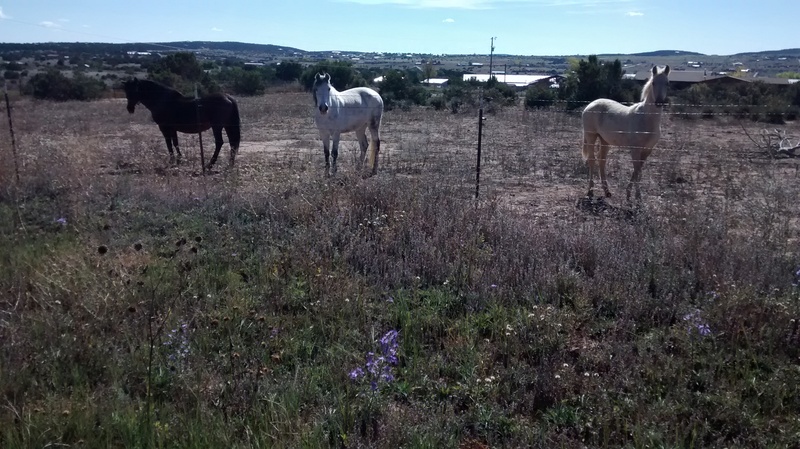 This entry was posted in bicycle rides, Everyday Rides, exploring by bike, healthy roads, Landscape, literature, multimodal outlook, Uncategorized on October 30, 2015 by bikeyogiblog. Jimmy is an exceptional person. He was a teaching assistant working on completing his PhD when I had him in my senior year for Introduction to Literary Theory and Criticism. I had added an English minor to my Geography major and this was a required course. I had finally begun to enjoy learning and was opening up to the power of critical thinking skills and figuring out my way through this complex world. Jimmy got to know me and made me feel important. His father was a truck driver, as I had been and would be again after I graduated, and I remember Jimmy telling me how his father was always on the lookout for hawks and birds as he drove. Jimmy had worked construction, as I had. He was approachable and a great teacher. Jimmy wanted to know what you thought and how you arrived there. He made the connection between getting in touch through outdoor activities with studious learning and hard work. I can’t wait to read this book, and I’m so glad Jimmy is sharing with a wider audience. I’ve been surprised by the extent of gas and oil in New Mexico. 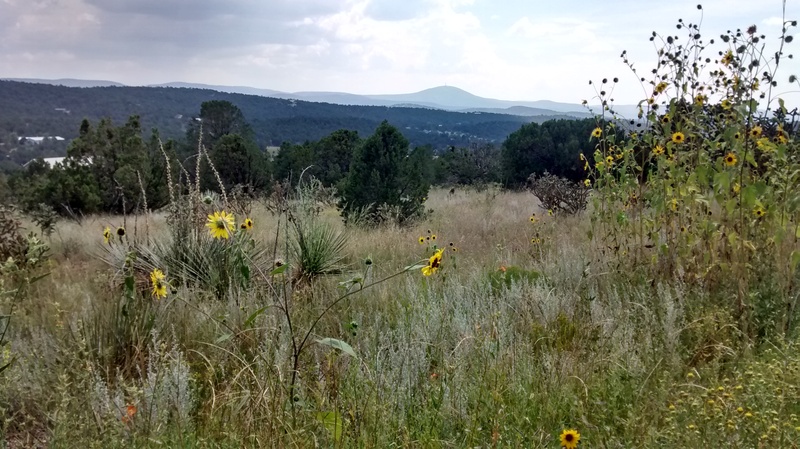 As a State, NM ranks 7th for natural gas and 5th for oil. Pennsylvania is 3rd for gas largely due to the Marcellus Shale. 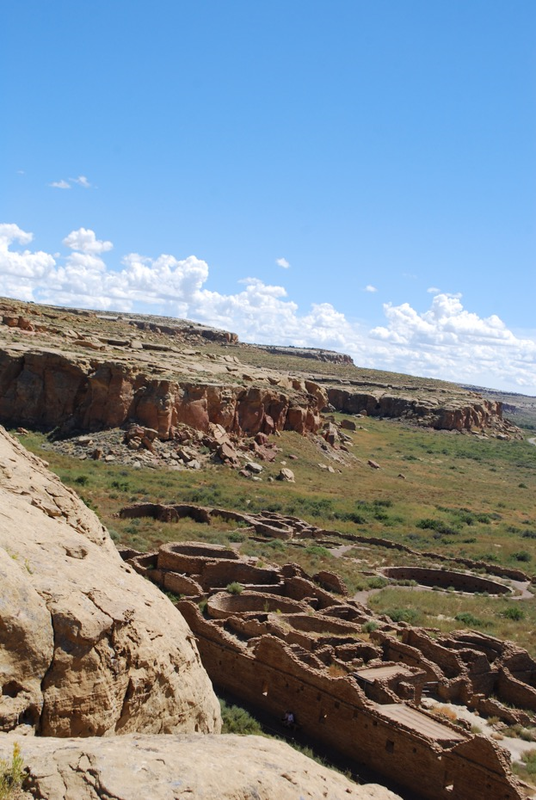 We have two UNESCO World Heritage sites, Carlsbad Caverns and Chaco Culture park, that abut our largest oil and gas production regions in the SE and NW corners of New Mexico. It is a remarkable contrast seeing these different value systems of extraction and preservation juxtaposed in the landscape. Without energy conservation, sustainable production guidelines, and a serious transition plan, this delicate balance seems headed in a bleak direction. We need more nuanced economic metrics that measure the quality of what we produce with the energy we use and the efficiency with which we do it, rather than narrowly isolating the volume of production and consumption, which conflates waste and inefficiency with economic growth. We have a methane hot spot over the four corners region because of leaking wells and infrastructure. And high ozone levels, though not as extreme as the one’s seen in Utah’s Uinta Basin production region. We need meaningful, sustainable jobs and energy, and we need a healthy environment for centuries to come. We need a long term perspective and a serious discussion on how we can make the good life last. I am looking forward to digging into Jimmy’s book and going for more rides to listen to the lands we draw our life from. 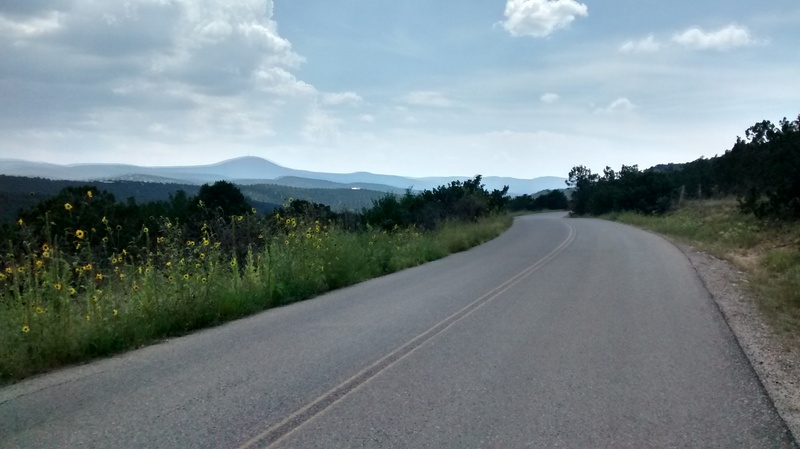 This entry was posted in digital humanities, exploring by bike, healthy roads, humanities, initiatives, Landscape, literature on September 17, 2015 by bikeyogiblog. Monday magic. Monday was a ride up the Crest. 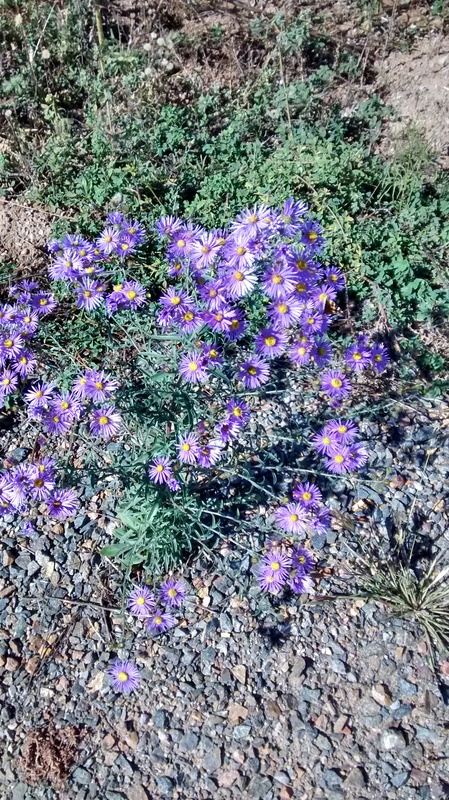 I was taking my time, one of those backpack rides, and I took these pictures. I was sick all last week and still am, but not riding much is not doing me any good. Riding is good. I was reminded on this climb what suffering on a bike is like. The long slow wilt on relentless grade. I gave into it and kept on churning. The journey is rewarding and seeing summer growth is amazing. 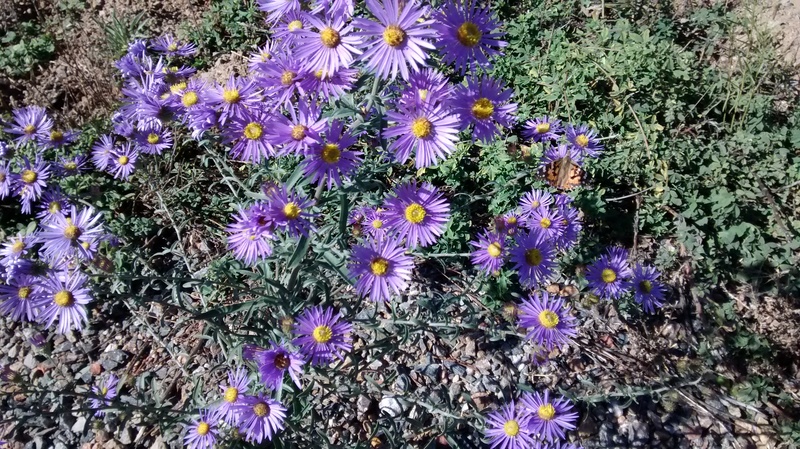 Indeed the roads are lined with flowers. There was smoke in the air from the wildfires in the pacific northwest. It looked hazy. All the shades of sky in New Mexico are incredible. I don’t think we have any bad sky days here. The poem from Robert Frost, The Gift Outright, travels with me and helps me think about what it means to live here in New Mexico. 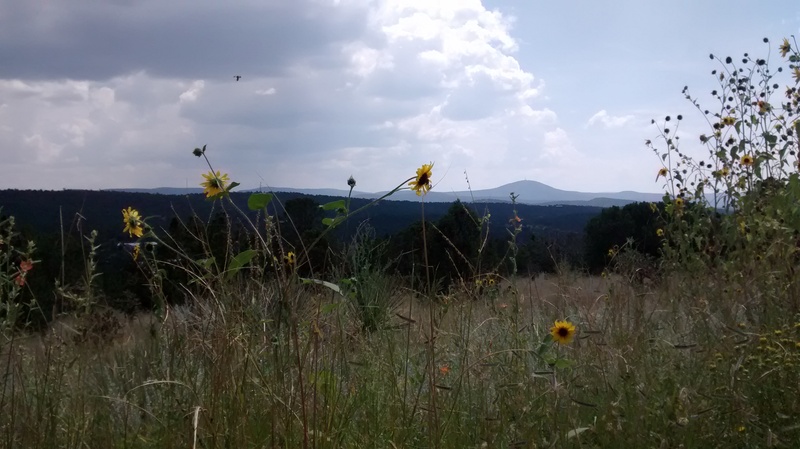 Bicycling helps me connect with the land and develop my sense of this place. It is a great equalizer. If I wake up high minded it will humble and ground me with earth. If I am feeling poor or down bicycling helps lift me up and I feel wealthy because I’m healthy and can move with grace and dignity. When I am anxious about the future bicycling helps me be present in the moment and do what I can to make a difference today. I am grateful I found bicycling again back in 1997. It activates potential that is hiding untapped. I see so much more when I am on my bicycle, and take in all the flavors and sense the world I’m a part of, get a feel for the shape of the day. It’s interactive and places us in conversation with people and land. It’s no wonder I’m working on sustainable transportation, developing sense of place and learning everyday I bicycle. At the conclusion of every ride when all the photos are taken and places are visited, I tell myself to bring it home. Bring the knowledge home with humility. How fortunate we are to find something we enjoy, that is also something good for us, and something we need. I keep on riding, giving myself to this land of living. Trato Hecho. There is so much more to discover right here in front of us, underneath us, all around us. 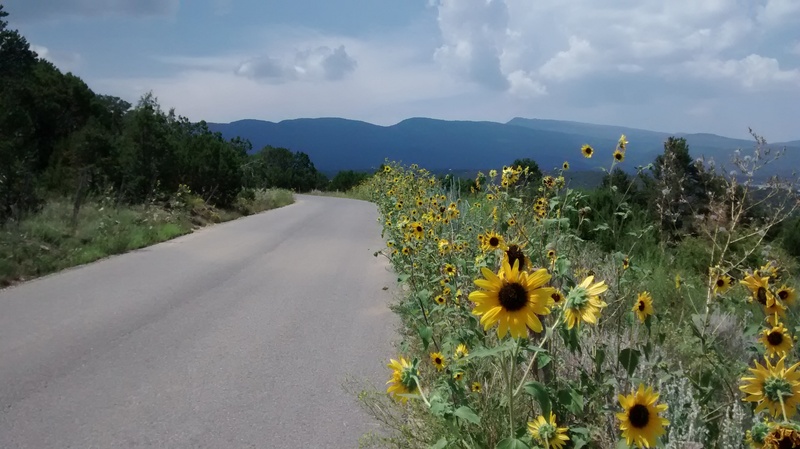 This entry was posted in Bicycling Ecologies, Everyday Rides, Landscape, literature, New Mexico, Uncategorized on August 25, 2015 by bikeyogiblog.